Best Puncture Resistant Gloves for Police Reviews: Top 5 in April 2019! Our hands are our tools, and for police, where tactical requirements demand hand work in extreme conditions, dexterity together with protection is a much-demanded combination. As such, only very specific glove manufacturers meet this unique requirement, and finding the right combination of rugged toughness together with soft manipulation, led us to survey the spectrum of puncture resistant gloves that are used by law enforcement and the military today. 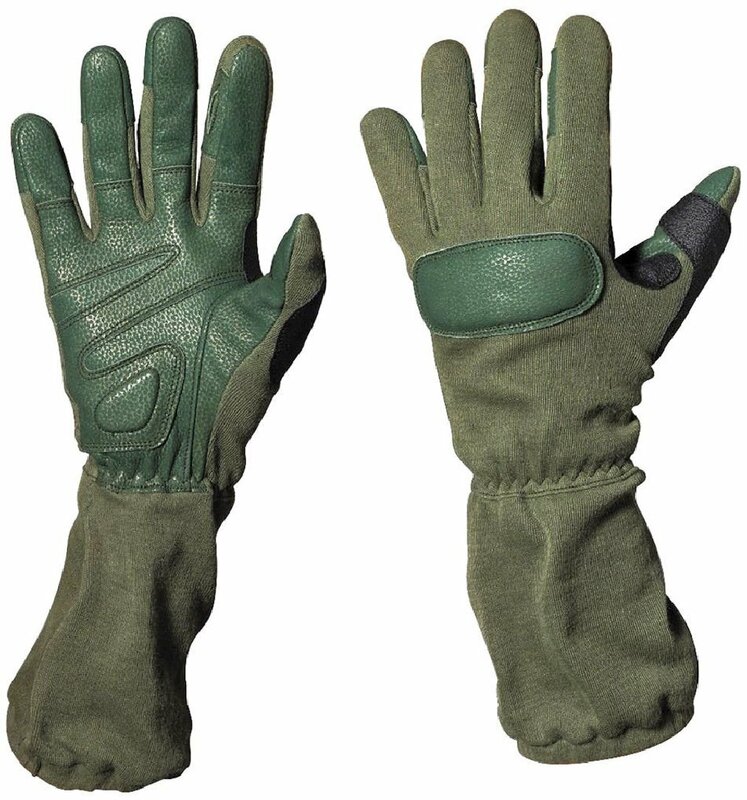 Cut and puncture resistant gloves for police must also be waterproof and fire regarding as well, they must be supportive and protect against heavy blows, and with all these demands, mist still enables a police officer in action the full dexterity to manage weapons, communications devices and even manipulate external physical objects. Selecting the right pair demands you consider the tactical applications you require for the gloves, including weather, environmental and kit conditions that will be used for your work. Are you using handguns, explosives, communication devices, heavy equipment? Will you be leaping over obstacles, entering liquid infested zones, do you need to access your kit? How will you apply medical attention while changing ammo? In this review, I present 5 of the best options for tactical puncture resistant gloves, and these gloves have all passed rigorous testing. For cutting, there are two basic standards used for measuring the cut-resistant properties of gloves. These standards are split between the US and Europe. 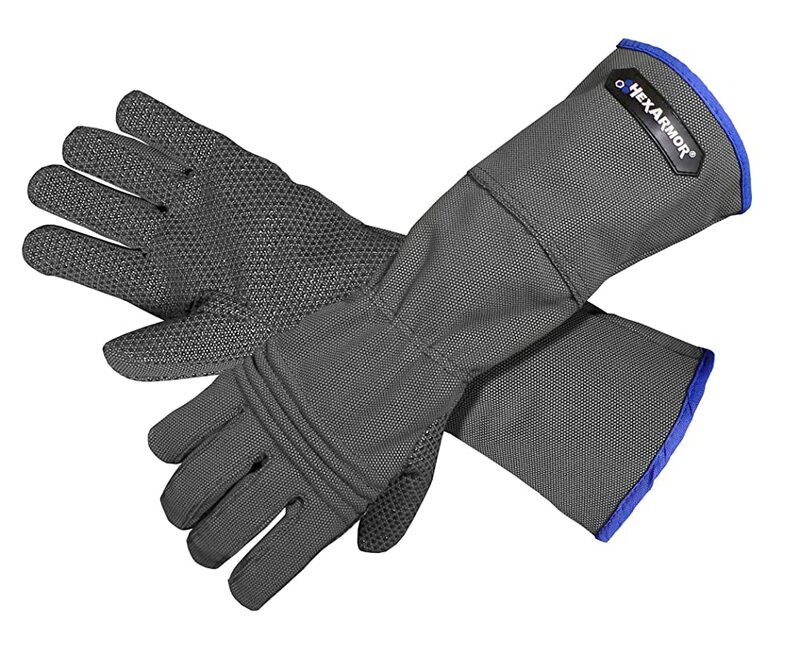 The gloves I review here all provide extra levels of protective performance, including water resistance and fireproofing. So now, with no further ado, let’s take a dive into the world of the best puncture resistant gloves for police operatives. The HexArmor NSR 4041 Needle and Cut Resistant Law Enforcement Glove is a leader in performance, it goes beyond standard glove requirements but providing both cut and puncture resistance, together with a manipulative material that provides optimized finger movement. HexArmor uses their high-performance SuperFabric® technology which is engineered to give the highest levels of protection. This material design is also very snug n the and allows for perfect finger and thumb coordination. This model features a specialize gripping silicon surface on palm for added tactical reliability. HexArmor is a well known, trusted and respectable fabricator of security clothing, their value for money is unquestionable and they are a preferred brand due to their large collection of designs. The Chrome Series™ from HexArmor delivers over 10 times the cut resistance of Kevlar®. The Hex Armor Superfabric is developed using PPE designs to shatter current ratings; the structure uses small hard “Armor” plates over a base fabric. These plates fit close together providing a flexible “Skin” while assuring cut and puncture resistance. The HexArmor Mud Grip® palm gives you a solid grip even when parts are covered in oil, and when dry, provides an extra abrasive resistance. The interior seams are made of a double stitched core-spun thread, which adds even more durability and resistance to wear and tear. The Hi-vis color scheme is designed for maximum optical awareness, which makes them perfect for distance signaling. This is the HexArmor glove for animal control situations and is also perfect when on tactical maneuvers in very dense and dangerous hunting grounds. This is the Hercules R6E HexArmor glove pair that comes with a superior cut and puncture resistant performance to both the palm and back of the hand. The added gauntlet is to protect the forearms when handling barbwire, glass and other sharp entanglement obstacles and is also perfect for handling guard dogs and other dangerous animals. 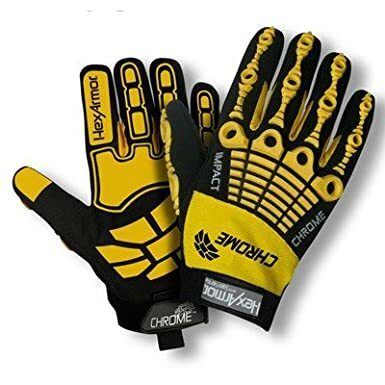 These are an exceptional pair of field gloves that should accompany any team, and you should have them as back up for special instances. Oakley likes to have fun, so they called their palm material Unobtainium, which would put this at Wolverine level of protection. Now let’s put the fiction behind us and concentrate on the reality of these gloves. These gloves are made of a mixture of materials, all combined to deliver maximum performance for manipulation, puncture and cut proofing, and extreme field protection. This glove comes with a goatskin palm and a nylon knuckle protector. The gripping textures are made from combining rubber and chloroprene rubber. These are exceptional gloves that are also used in hand to hand combat for their protection and provide you will an additional punch and protection for your hands when deploying hand to hand combat. Oakley is a preferred law enforcement and military brand and is also used by many private contractors. AMYE is a military grade brand, but this means it’s one of the best, and that it is used by the military and as such, is one of the best gloves that our soldiers rely on for their lives. God help the DoD that cut on this budget. 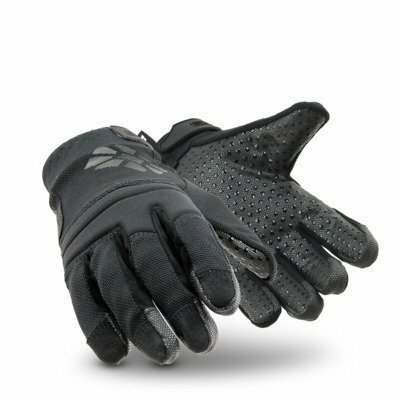 The outer shell of this glove is made from Aramid-Fibers that are waterproof, cut and flame resistant, and will withstand temperatures up to 800oF. 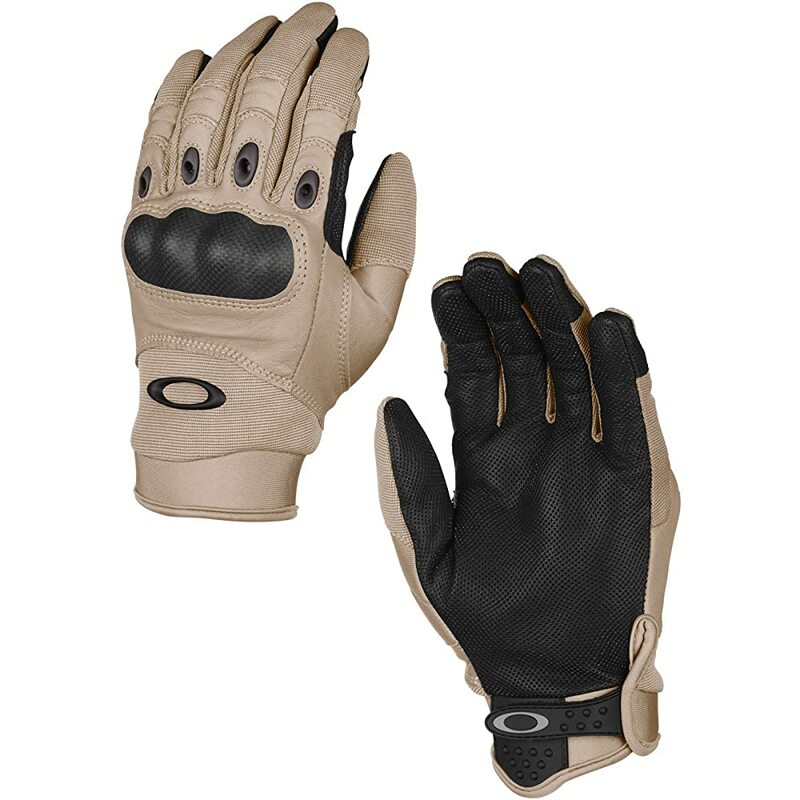 As such, these are exceptionally well-designed gloves for all tactical operations. This model includes an extended cuff to protect the wrists, and an ergonomic cut designed to fit snugly over every hand size. 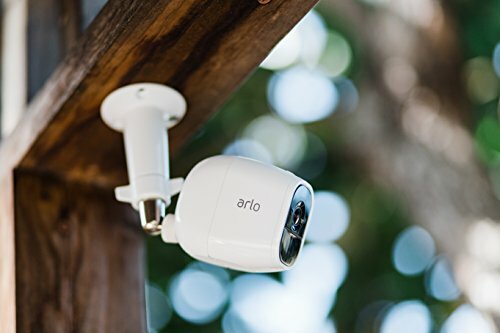 The wrist cuff comes with a slight elasticized grip to assure protection from backflow, and the palms are covered in a specialized non-skid material that holds up even when covered in grease. This model is 2462, which is used by the navy, military, air and special forces.